Lemon quartz also known as "Green Gold" is a yellow variety of quartz. Iron content of the rocks and lab supervised gamma radiation gives the gemstone its unique yellow-orange colour. 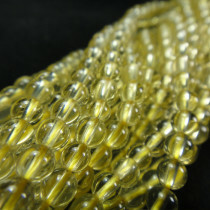 Lemon Quartz Round 4mm Gemstone Beads (100pce Strand) - 40cm/16'" Strand. 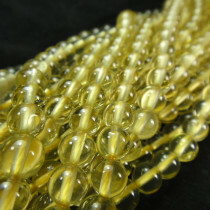 Lemon Quartz Round 6mm Gemstone Beads (66pce Strand) - 40cm/16'" Strand. 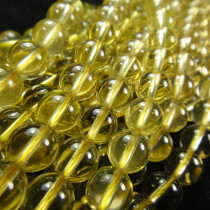 Lemon Quartz Round 8mm Gemstone Beads (50pce Strand) - 40cm/16'" Strand.